The book may be familiar to you by now. 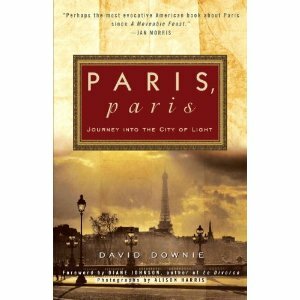 Here's an excerpt from the chapter about Paris in the spring. Il fait beau, c’est le printemps, ran the lusciously enunciated, taped dialogue at the Pompidou Center’s language laboratory. “The weather is beautiful, spring is here,” I repeated, joining my own to a dozen eager voices as snow fell beyond the windows. Wherever I went that first April in Paris—now three decades ago—through sleet, rain, wind and snow, I would cheerfully say my bonjours in grade-school French, adding with a wink c’est le printemps. As if in answer the cloudy sky would blow for a few minutes into a blue expanse shot through with light, brightening the wet tin-and-tile mansard roofs time and again, like pebbles on a beach. And here are a few images to whet your appetite for Paris, Paris — in April or any other month. Taking time to smell the… cherry blossoms! Not much of a scent, but the trees in the Jardin des Plantes in particular are simply gorgeous. And what about the pocket-sized park flanking Notre Dame? 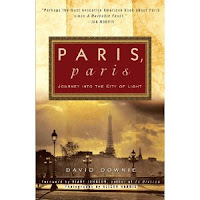 Remember, if you can't make it to one of our book events, and you can't be in Paris this spring, you'll always have Paris, Paris — the book! If you're looking for our custom tours website and blog, please click here.